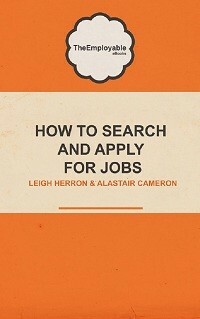 Looking for work can be a very frustrating task, particularly in the current economic climate. If your search for full-time employment has hit a dead end, it could be time to start considering temping as a serious option. Don’t be put off by the short-term nature of temping work. Not only is it a recognised recruitment method among many top companies, if you can build up a good reputation in your area you should have no trouble finding further opportunities. The credit control sector is one area that offers plenty of temping opportunities at all levels, right up to credit manager opportunities. Credit manager jobs are just one way you can get into the credit control sector. Organisations regularly need to be flexible when it comes to credit control work, so you are likely to find a range of positions that offer hours to suit you, variety and also the chance to build up your CV to improve your prospects going forward. Even if you’ve spent time working in areas other than credit control, there are plenty of transferable skills you can bring to the table. Any credit control role will require solid mathematical and statistical ability, something many candidates will be able to demonstrate in their employment history and educational qualifications. An ability to work well with people will also impress, as many positions require frequent interaction with team mates and clients. The nature of the work, which often involves chasing outstanding debts in a diplomatic way, also means that being able to show evidence of problem solving is also likely to get you noticed. By approaching temp work with a good attitude and a little forward planning, it is perfectly possible to make a success of this either as a long-term means of work or as a stop-gap while you search for alternative employment. – Working with a recruitment agency will greatly enhance your prospects when it comes to getting your foot in the door, and you are more likely to be directed towards jobs that match your skills. – In order to avoid giving a negative impression, you should treat the assignment as if you were in a permanent job. Don’t act like you’re doing them a favour. – This includes turning up on time, dressing appropriately, not using your phone, informing your employer promptly if you are ill and avoiding using company resources for personal reasons. While this may sound simple, it’s amazing how many people fail to do this. – Depending on the length of the assignment, you may have holiday time available. It is important to organise this properly with the relevant managers to avoid confusion, and also to ensure you receive any holiday pay you are entitled to. – If you do continue to look for permanent work during your temporary employment, you should not arrange any interviews during working hours. This will damage your reputation, and if your permanent interview is unsuccessful you may also find yourself struggling to find any more temp roles. Whether you’re looking to kick start a new career direction or just need to pay the rent, there are temp jobs out there in credit control, and determined candidates should have no trouble finding the opportunities they need. Portfolio Credit Control is a leading recruitment agency based in London, and lists a range of temporary and permanent vacancies. It is a division of Portfolio Payroll Ltd, which has cultivated a strong reputation in the recruitment sector since it was established in 1989.